I love advents and countdown calendars. I count down to almost every holiday, especially for birthdays and Christmas. 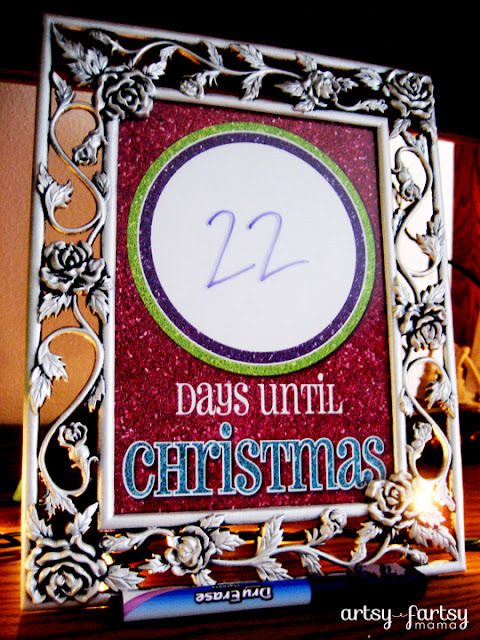 I found an easy way to make a Christmas countdown was to just make an image myself, put it in a frame, and write the numbers on the glass! Easy, cute, and unique. Last year I put this design together with intentions of sharing them... but I didn't get them done in time! Lucky for you, they are ready to go THIS year - and I have added a couple of extra designs. Of course, the backgrounds are covered in glitter. Gotta have that holiday sparkle!! 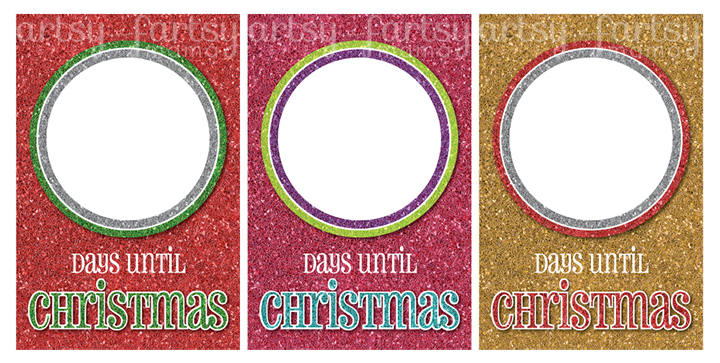 All three designs are available in 4x6, 5x7, and 8x10 sizes. Download the images by clicking in the links. *Please do not remove the credits and copyright. *If you post this on the internet, credit must be given to Artsy-Fartsy Mama and linked back to my blog. Thanks for sharing on the homemade holiday party....I just love printables! Great idea! EVERYDAY my son says "Mom, how many more days until Christmas." Now I can say..."GO READ THE SIGN!" Thanks for sharing on Super Sweet Saturday.